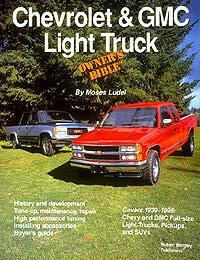 Posted on Dec 14, 2015 at 8:59 pm · by Moses Ludel Comments Off on Variety of Information Available at 4WD Mechanix Magazine! 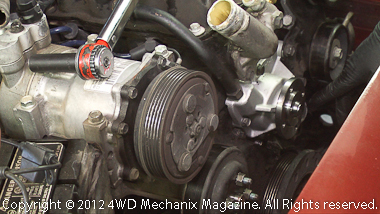 Find hundreds of tech articles and High Definition videos right here!…Discover the 4WD Mechanix ‘Tech and Travel’ Forums—No login for forum guests! 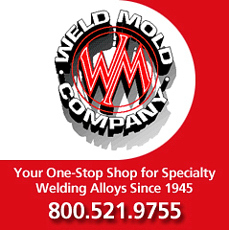 Performing work on a 4×4 truck, Jeep®, SUV, ATV or dirt/dual sport motorcycle? Need reliable answers to your technical questions or advice on upgrade equipment that works? Mark Greene interviews Moses Ludel as a guest at “Cars Yeah!” Recorded live, this podcast is now available at the Cars Yeah website, Twitter and iTunes…Join us! The subject of valve clearance on AMC/Jeep 232/258 and 4.0L inline six engines is topical at the magazine’s forums—and across the internet! 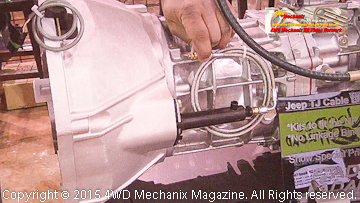 In this vlog, Moses Ludel talks about checking and setting valve clearance on 1964-2006 AMC-Jeep inline sixes. 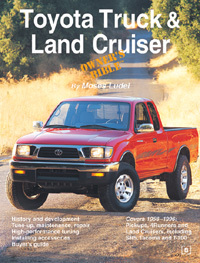 Viewers at this magazine site and the forums can benefit from this level of information. Find articles like the Jeep® and Dodge Ram Truck RE/RH transmission upgrades (at left) that provide 4×4 enthusiasts with in-depth reliability and survival insights! At right, Moses Ludel shares welding processes at the magazine’s ‘How-to Welding Class’. John Williams knows tires. Years of desert and Baja racing, plus instructing and prepping vehicles for Miller Motorsports Park, make John expert at assessing the new BFGoodrich® All-Terrain T/A KO2 tires. At the 2015 Moab Easter Jeep Safari, BFG® Tires, Raceline Wheels and Poison Spyder Customs sponsored trail runs at Area BFE/BFG, and John Williams discussed the new BFG® KO2 tires. Learn why this breakthrough tire design excels both on- and off-road…For the article and more details, click here! At the 2015 Moab Easter Jeep Safari, BFGoodrich® Tires, Raceline Wheels and Poison Spyder Customs presented a special run for Jeep JK Wrangler owners. Area BFE, suitably renamed “Area BFG” for the event, presented three levels of trails. Watch celebrity race drivers and professional instructors help newcomers and seasoned four-wheelers find their way over the rough stuff. 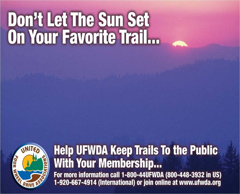 For the feature article and more details on the Strike Ravine day trail run and the evening’s activities, click here! 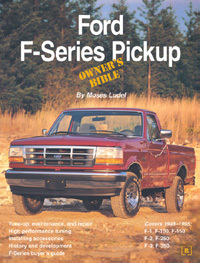 BFG All-Terrain T/A KO2 Tire Testing on the Magazine’s Dodge Ram 3500 4×4 Begins at the Discount Tire Store! Testing new tires requires a solid baseline. The tires need proper mounting and balancing on rims that run true. When 4WD Mechanix Magazine prepared for testing the new BFGoodrich® All-Terrain T/A KO2 tires on the Dodge Ram 3500 4×4, the first stop was the nearby Discount Tire Store. Professional mounting and balance service provides a platform for accurately evaluating these tires, and Discount Tire delivered professional and dependable service. The Moab Easter Jeep Safari week takes four-wheeling and dirt OHV recreation to the limit. At the week’s end, the Old Spanish Trails Arena becomes the site for a trade show that includes the 4×4 aftermarket industry’s key players. Advance Adapters’ booth is a popular draw during the trade show. 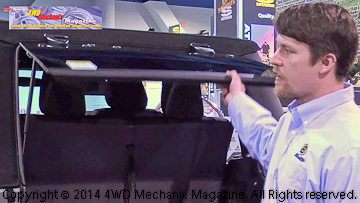 At the 2015 show, 4WD Mechanix Magazine interviewed Steve Roberts. Steve shares the latest Advance Adapters products for Jeep and other 4×4 applications—click here for the HD video coverage! 4WD Mechanix HD Video Network—Now Featuring Vimeo On Demand Instructional Streaming Rentals for Professional Level Technical Training and ‘DIY’ Enthusiasts! Technical articles and how-to videos have been filmed, narrated and painstakingly edited as Vimeo On Demand productions. This trailer (above) shares details from the very popular Aisin AX15 transmission instructional rebuild. Access the 94-minute streaming rental feature at Vimeo On Demand, click here! Streaming Vimeo On Demand: Moses Ludel Rebuilds the Engine Top-End on the Iconic Honda XR650R Motorcycle! 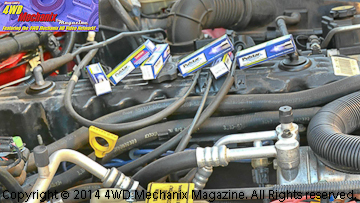 How-to Information Available for Free at 4WD Mechanix Video Network and 4WD Mechanix Magazine Articles! Dirt and dual-sport motorcycles require routine chain maintenance and periodic parts replacement. This is the trailer for the 28-minute HD video. The magazine’s Honda XR650R dual sport-converted enduro bike gets final drive system attention, which presents an opportunity to upgrade the chain and sprockets. The detailed, step-by-step coverage of this important service also provides tips on how to improve your dirt or dual-sport bike’s reliability and stamina. Click here to access the free, feature length video and article! 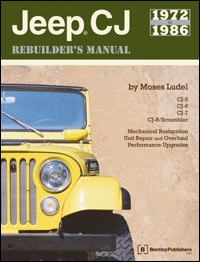 In this 25-minute how-to HD video, Moses Ludel shares the replacement of brake pads, rotors and related parts on the 1990-95 Jeep YJ Wrangler, 1997-2006 Jeep TJ Wrangler, 1990-2001 Jeep XJ Cherokee, 1990-92 Jeep MJ Comanche and the 1993-1998 Jeep ZJ Grand Cherokee. The instructional video is a thorough orientation to the work, emphasizing safety and quality workmanship. Here are the detailed how-to steps—with none left out! 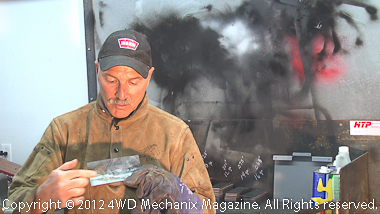 Click here for direct access to this free HD video available exclusively at 4WD Mechanix Magazine and Video Network! Changing the radiator and water pump on a Jeep inline six? 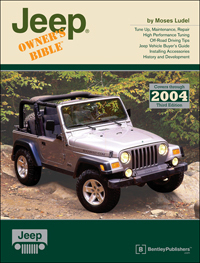 For HD video instructional details on an XJ Cherokee radiator R&R and a water pump removal and replacement on the 4.0L Jeep inline six and similar AMC/Jeep engines, click here. 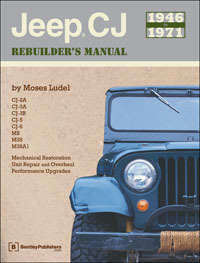 You’ll also find coverage of the radiator removal and installation on a Jeep XJ Cherokee! This step-by-step how-to coverage includes rebuilding and setting up an 8.25″ Chrysler rear axle in a Jeep XJ Cherokee. 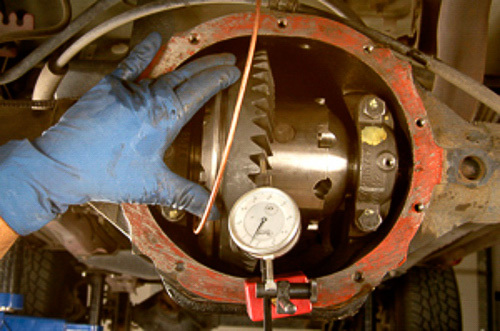 The installation of an ARB Air Locker differential is a key feature in this rebuild and upgrade. Click here for the illustrated article! If you need expert ‘Q & A’ and like the idea of a helpful off-road enthusiast community, visit us as a guest at 4WD Mechanix ‘Tech and Travel’ Forums! Find 45 forum groups covering 4WD Jeep®, 4×4 truck, OHV, dirt bike and dual-sport motorcycle topics—plus exciting details on global destination travel and outdoor lifestyle tips! 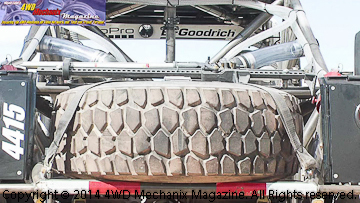 BFGOODRICH® TIRES STRIKES AGAIN AT MINT 400! Using motorsports as a proving ground for more than 40 years, BFGoodrich Tires is involved in every type of racing, including sports car, short course, desert, dirt, rally and extreme rock crawling. BFGoodrich Tires combines technological expertise with vast motorsports experience, delivering a high-performance tire for every type of vehicle. Visit the BFGoodrich Tires Racing site at http://www.bfgoodrichracing.com on Facebook at www.Facebook.com/BFGoodrichTires or on Twitter at @BFGoodrichTires. SCORE International and BFGoodrich® Tires Bring the ‘Baja 1000 Experience’ to the 2014 SEMA Show! The 2014 SEMA Show at Las Vegas, Nevada featured the first SCORE International ‘Baja 1000 Experience’. The newest addition to the SEMA Show attracted a large crowd. 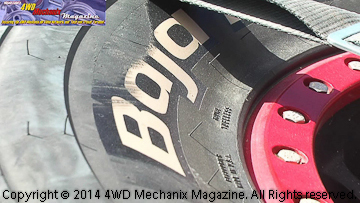 This HD video covers the press conference and BFGoodrich® KO2 All-Terrain tire comments! Bestop® Introduces Trektop™ Pro Soft Top at 2014 SEMA Show! Bestop® showcased the new Trektop™ Pro at the 2014 SEMA Show! This innovative new soft top features breakthrough innovations like framed, glass-sliding rear side windows and a glass tailgate window! Watch this HD video coverage and a tour with Bill Haberkamp. 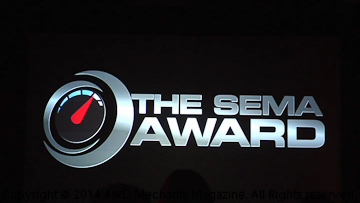 See the Awards Ceremony Coverage from the 2014 SEMA Show! The 2014 SEMA New Products Awards and SEMA Hottest Vehicle Awards took place at the show’s opening. In this HD video coverage directly from the Las Vegas SEMA Show, join us and see the best new products available from the automotive aftermarket! Technology Breakthrough: Testing the Enerpulse Pulstar® Spark Plugs in the Magazine’s On- and Off-Road Vehicles! Enerpulse Technologies’ Pulstar® PlasmaCore spark plug technology is at the leading edge of internal combustion engine performance gains and emissions reduction. 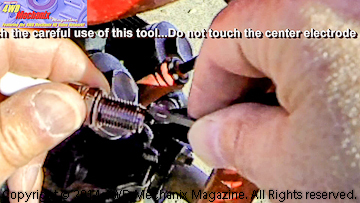 Click here for our HD video coverage of the Pulstar® spark plugs. See details and our real world testing! 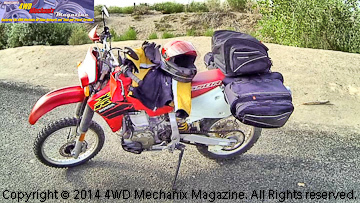 Our Honda XR650R Motorcycle: Acerbis Sahara Fuel Tank Added for Long Distance Travel and Field Video Work! 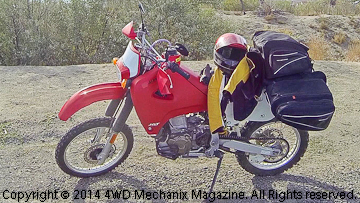 The magazine’s Honda XR650R is our video filming platform for remote desert. The factory 2.6 gallon fuel tank is too small for dual-sport use. In this detailed how-to HD video, see the installation of an Acerbis Sahara fuel tank on our Honda XR650R motorcycle! Honda XR650R Dual-Sport Get Ready: Nelson-Rigg Luggage plus TCI Products Racks and Skid Plate Crankcase and Side Cover Protection! 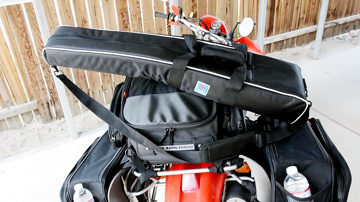 The magazine’s Honda XR650R dual-sport motorcycle carries valuable video equipment and camping gear into the backcountry. 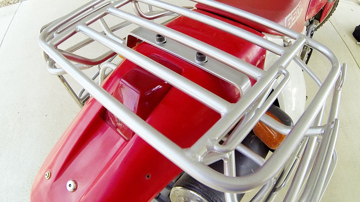 In this video series, see how Nelson-Rigg motorcycle luggage and TCI Products racks and engine protection work for us! 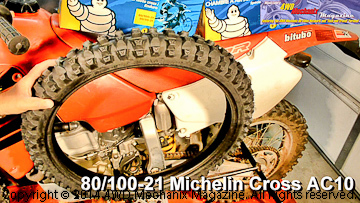 At left, 4WD Mechanix Magazine’s Honda XR650R motorcycle is ready to roll with fresh Michelin T63 tires and matching tubes! Used for video filming at remote desert and mountain venues, tires must be reliable, trail and road worthy—and durable! In this two-part HD video series, we mount and test Michelin’s T63 and Cross AC10 dual-sport motorcycle tires. These tires and matching tubes are DOT approved for use on public roads and highways. The T63 is a 50/50 highway and off-pavement design. 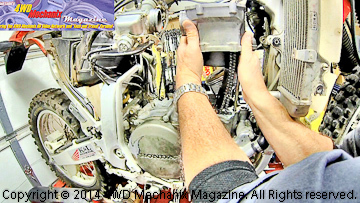 We Turn to L.A. Sleeve Company for Machine Work on Our Honda XR650R Motorcycle Top-End Engine Build! At the heart of our Honda XR650R dual-sport bike is a freshly built, uncorked engine. With Hot Cams ‘Stage 1’ camshaft and L.A. Sleeve head and cylinder work, this powerplant pumps out an estimated 55 horsepower and 50 lbs. ft. torque. In this instructional HD video series, Moses Ludel rebuilds the top end of the magazine’s Honda XR650R motorcycle engine. See the HD video how-to on the cylinder leak down test. 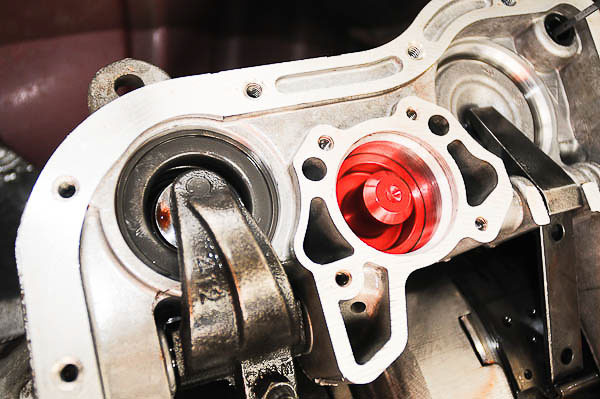 To see the removal of the cylinder head and cylinder barrel for inspection, click here! Watch your favorite 4WD Mechanix Video Network features on a big screen or smart television…Go to the 4WD Mechanix Video Network Channel* at Vimeo for high definition video! 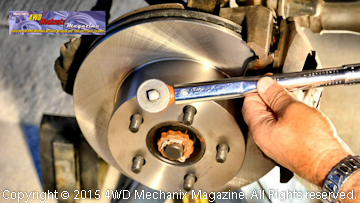 *4WD Mechanix Video Network offers free channel programming with HD videos at this magazine site and at Vimeo. Vimeo now streams through Roku, Chromecast, Amazon Fire TV, Apple TV and other popular players! Moses Ludel has owned and ridden this four-stroke 1984 Honda XR350R since the mid-‘nineties. The magazine also features a Honda XR650R motorcycle that serves as a dual-sport video filming platform. Both four-valve single cylinder thumpers deliver the performance and reliability characteristic of four-stroke dirt motorcycles. Ride along and see why this “vintage” XR350R is a keeper!